Observation - Hermit crab - UK and Ireland. Description: Small hermit crab in a periwinkle shell. 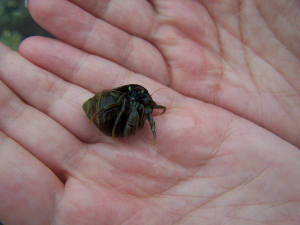 Small hermit crab in a periwinkle shell.